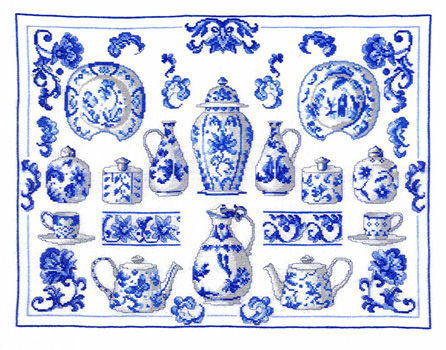 An attractive sampler of blue and white china - vases, jugs, pots, teacups and plates. The large scale black and white charts are printed 10 stitches to approximately one inch on four A3 sheets. The pattern is worked in whole cross stitch and backstitch over using 13 shades of stranded cottons on a stitch count of 270 by 200. 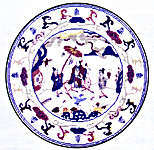 See also The Treasure of China Blue and The Beauty of Delft Blue.